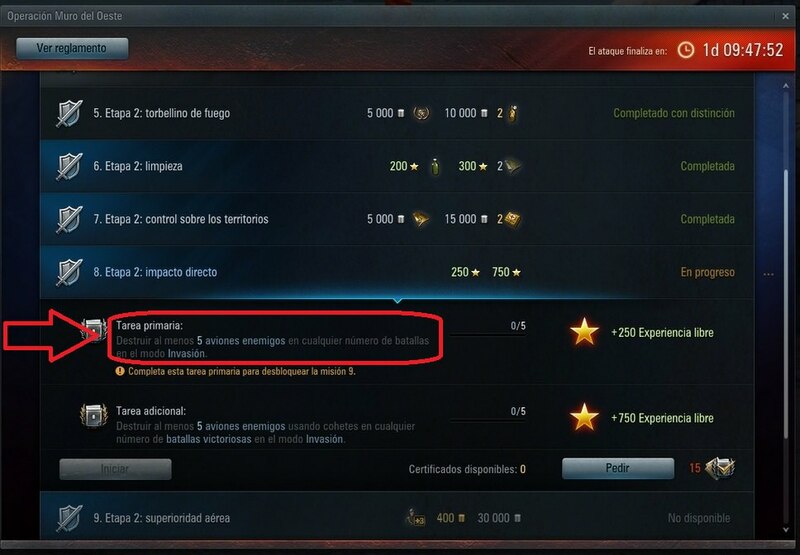 In primary mission stage 8 of Westwall WG made a wrong translation to spanish that made imposible to spanish players to complete this 8 primary mission, they forget to say that the planes should be shoot down with rockets, and therefore made impossible to progress to mission 9 and atrition mode. Hi mate, I am not a speaker for the spanish community in WOWP, it is just I expect to treated as if I would be a member of the british speaking o russian speaking community, can you imagine if an error of this kind in a primary stage would have made impossible to progress in the invasion mode and therfore in the atrition mode to any of these communities. I just have the expectation of be trated with respect by WG, my question is, is that too much? Edited by Jonagus, 15 March 2018 - 12:40 PM. It is treated the same as the english speaking community-completely ignored. Respect from wg?Now that made me laugh. Actually I've found that their Russian descriptions are wrong sometimes too in this and other WG titles. I speak English, Spanish, Russian and a few other languages and I have not seen WG being precise in any of them. just have the expectation of be trated with respect by WG, my question is, is that too much? Actually I was trying to point out that WG do not respect themselves, so there is no reason to expect that they would respect anybody else. Edited by drakkanax, 17 March 2018 - 08:26 PM.